THE YEAR 2016 will “very likely” be the hottest on record the UN said today, warning of calamitous consequences if the march of global warming cannot be halted. Average temperatures for the year were set to hit about 1.2 Celsius over pre-Industrial Revolution levels – meaning that 16 of the 17 hottest years on record were during this century, said the UN’s World Meteorological Organization (WMO). “These figures are a reminder of the scale of the challenge we face. The election of Donald Trump is only going to make matters worse. He does not even believe in climate science and he wants to keep the US economy on a fossil fuel path. President-elect Donald Trump has said previously that climate change was a phenomenon ‘invented by the Chinese’ in an attempt to hamper US production – a view that goes against the majority of independent scientific research into the subject. “Looking after the planet must go hand in hand with looking after our local economy. 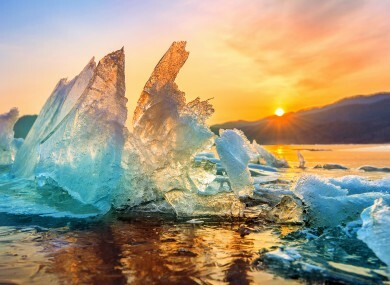 The WMO report was published as UN climate talks entered their second week in Marrakesh – the first since last year’s huddle in the French capital concluded with the climate-rescue Paris Agreement. Earlier today, the annual Global Carbon Budget report said carbon emissions from burning fossil fuels have been nearly flat for three years in a row – a “great help” but not enough to stave off dangerous climate change. Email “Heating up: 2016 "very likely" to be hottest year on record, says UN”. Feedback on “Heating up: 2016 "very likely" to be hottest year on record, says UN”.